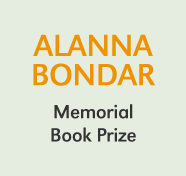 Thank you to all authors and publishers who participated in the 2018 Alanna Bondar Memorial Book Prize. In these times of environmental crisis, it is heartening and inspiring to see such a wide range of creative, attentive work dedicated to addressing and thinking through the many challenges we face. The large number of truly excellent entries made the jury’s work difficult! After much deliberation, they selected five finalists and extend their congratulations to all of this years entrants for creating such thoughtful and engaging books. Dorothy Christian and Rita Wong, Editors, Downstream: Reimagining Water. Wilfred Laurier University Press, 2017. 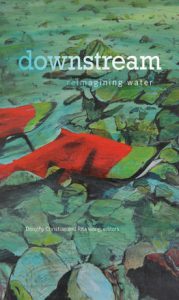 Downstream, edited by Dorothy Christian and Rita Wong, is a collective consideration of water as source of life, a locus of indigenous activism, and “the blood of the Earth.” The creative essays in this volume are inspiring and intense as they follow the ebb and flow of waters across the planet. The various lessons of water explored in the book teach interdependence and permeability, they pool together to form a water ethic that is inclusive, responsible, and transformative. Jack Davis, Faunics. Pedlar Press, 2017. 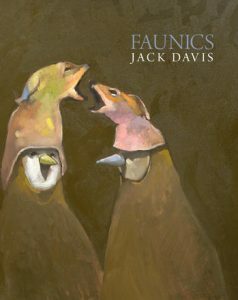 In Faunics, Jack Davis delights in finding the word to match the precise moment of observation of sundry species situated primarily in northeast Ontario. The range of reference and research is impressive (from Duns Scotus to Robert Bringhurst, from The Tempest to Tender Buttons), as is the lyrical and philosophical weight given to line-break, silence, and inter-species contact. The poems emerge as their own startling linguistic creatures, “makeshifting” an environmentally attuned music. 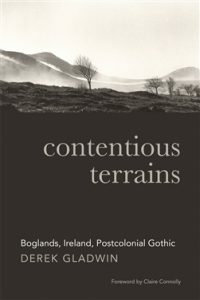 Derek Gladwin, Contentious Terrains: Boglands, Ireland, Postcolonial Gothic. Cork University Press, 2016. In lively and compelling prose, Derek Gladwin’s Contentious Terrains explores the underappreciated landscape of Irish boglands. Gladwin takes readers into the body of the bog and traces its metaphors and rich muddy physicality in a wide variety of Irish letters. Reading the boglands for their stories of social struggle and colonial conflict, Gladwin reveals insights into literary and environmental history and into potential opportunities to protect endangered wetland environments. 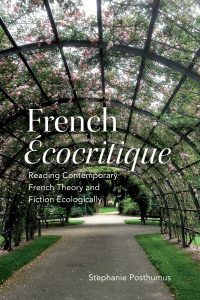 Stephanie Posthumus, French Ecocritique: Reading Contemporary French Theory and Fiction Ecologically. University of Toronto Press, 2017. In French Écocritique, Stephanie Posthumus offers a rigorous and illuminating examination of the culturally-specific ways French theory and literature parallels contemporary anglophone ecocritical discourse. Reading the work of four French theorists alongside four French fiction writers, Posthumus provides a wide-ranging and unique study of recent French writing on environmental issues including animal studies, ecofeminism, and posthumanism. The biennial award is named in honour of Dr. Alanna F. Bondar (1968-2014), an ecocritic, ecofeminist, poet, teacher, and founding member of The Association for Literature, Environment, and Culture in Canada / L’Association pour la literature, l’environment et la culture au Canada (ALECC). Alanna was an Associate Professor of English at Algoma University in Sault Ste. Marie, Ontario, and the author of the narrative poetic work There are many ways to die while travelling in Peru (Your Scrivener Press, 2011), as well as many scholarly publications. Alanna was also a passionate educator, writer, gardener and knitter. In honour of Alanna, a cash prize of $500 will be adjudicated by an ALECC committee and awarded every two years at the ALECC biennial conference. A call for nominations for our next award, for books published in 2018 and 2019, will be issued in the fall of 2019. The next award will be announced at ALECC’s 2020 conference, location to be announced. One prize will be awarded biennially. In the spirit of Alanna Bondar’s own work, the committee seeks to award the prize to provocative, original, and stimulating books on environmental topics. Interdisciplinary works with a broad appeal within and beyond environmental humanities are also sought, as are books with the potential to engage a broader public, as well as students across a range of disciplines and levels. Genres can include fiction, poetry, drama, creative non-fiction, scholarly monographs, and edited collections. Eligible authors must be Canadian or live in Canada. Books may be nominated by publishers or ALECC members. Nominated authors or collection editors must be ALECC or ALECC-affiliated association members by February 1st of the designated prize year. If you would like to make a donation to the prize fund, please do so below. Read more about the inaugural winner and three honourable mentions of the Alanna Bondar Memorial Book Prize 2017 by clicking here.